Colleen Deane is a PhD student within the School of Health and Social Care under the supervision of Dr. Jane Murphy and Dr. Timothy Etheridge. After graduating with a First Class (Hons) in Sport and Exercise Science BSc, Colleen undertook an MSc related to nutrition and health whilst studying cellular and molecular biology for her dissertation, achieving distinctions in both. 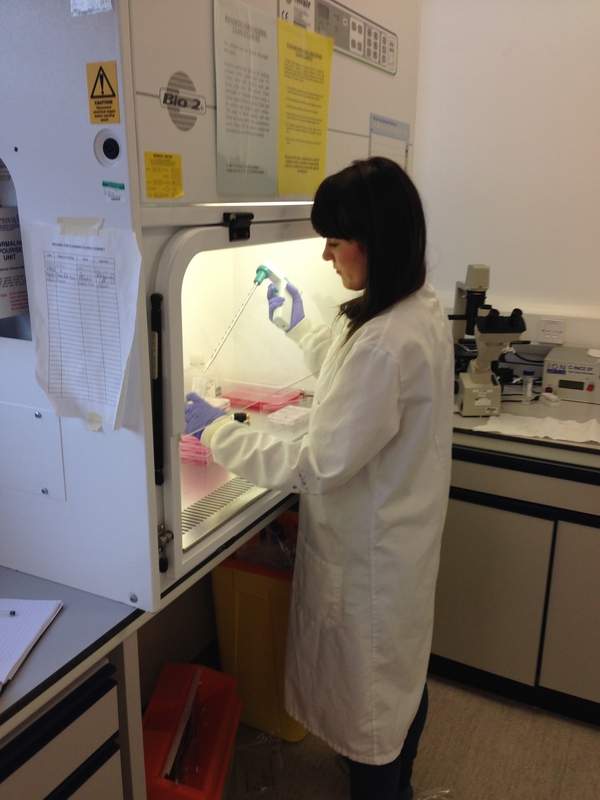 Her current PhD research focuses on muscle degeneration in the elderly. By 2050 the world’s elderly population will rise from 650 million at present to 2 billion. The primary health concern associated with ageing is the progressive loss of muscle mass and function (termed ‘sarcopenia’), which culminates in reduced quality of life and independence in addition to increased metabolic disease and mortality rates. Recent findings have also highlighted a role of vitamin D on reducing the risk of falls in the elderly and its receptor (VDR) for regulating skeletal muscle proliferation and differentiation. One currently unexplored area in the development of sarcopenia is the role of impaired muscle maintenance and repair (i.e. remodelling) and the effects of vitamin D and the VDR. Thus, Colleen’s PhD is investigating the metabolic and molecular regenerative mechanisms of skeletal muscle in both young and elderly populations following exercise induced muscle damage. In addition, Colleen will investigate the role of VDR in skeletal muscle metabolism and the molecular signalling pathways involved. Colleen’s PhD will involve performing complex human studies that will include collecting human tissue samples (muscle biopsies and venous blood) in a setting of exercise interventions; techniques that require significant scientific and clinical expertise and which only a handful of research groups worldwide are capable of. Data analysis will incorporate the use of gold standard equipment such as mass spectrometry and western blotting. Combined ultimately, providing Colleen with the state-of-the-art skills necessary to achieve her goal of forging a successful post-doctoral career in human metabolic and molecular physiology. The main outcome of Colleen’s PhD is an enhanced understanding of the molecular and metabolic mechanisms that contribute towards the development of sarcopenia. Since current understanding of these mechanisms remain unclear, such novel insights will inform the development of effective exercise, nutritional and pharmacologic interventions for the future alleviation of the major socio-economic burden associated with losses of muscle mass and function during the ageing process.